Product #60685 | SKU TT-C06-B | 0.0 (no ratings yet) Thanks for your rating! 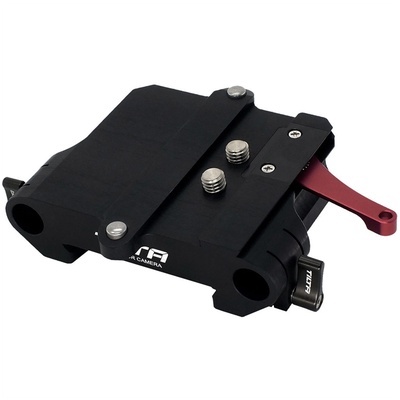 This Tilta 15mm Studio ARRI Standard Bridgeplate Adapter is designed to adapt a Tilta standard baseplate to an Arri standard baseplate to allow you to use your camera rig on an Arri standard-sized dovetail. It uses a hard-anodized surface design and is CNC-milled from a lightweight and durable high-impact aluminium 7075 alloy.